We work hard to meet our clients’ needs by being responsive and paying close attention to their questions and concerns. We investigate client cases meticulously, and use our years of experience and knowledge of the law to produce the kind of representation our clients seek and deserve. We have earned the respect of the legal community as well. We have consistently been AV® Preeminent™ Peer Review Rated™ by Martindale-Hubbell®, the highest rating possible based on a survey taken of our peers about our legal abilities and adherence to ethical standards. Experience, knowledge and integrity — that is what clients receive when they come to Land Carroll & Blair, P.C. 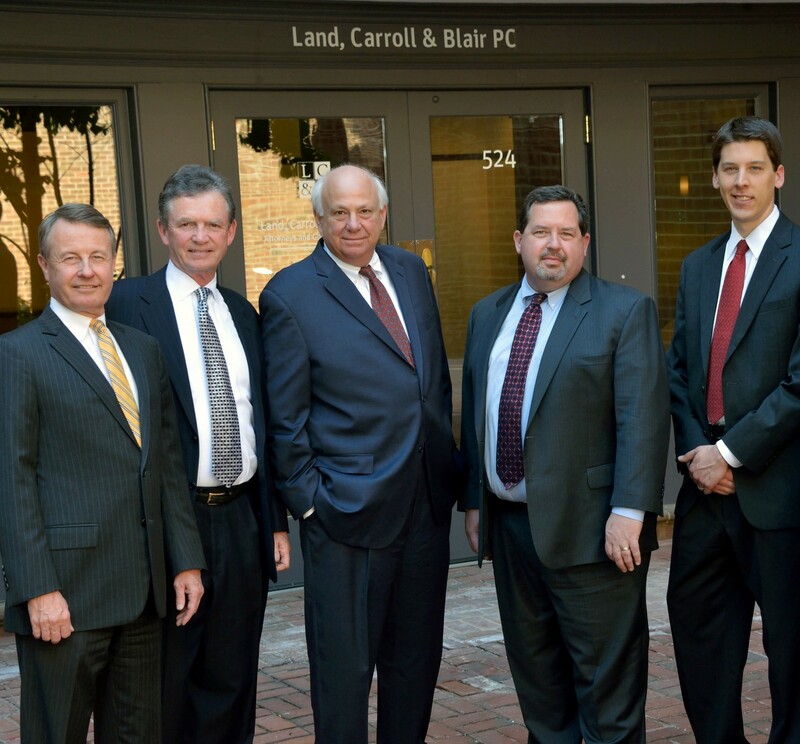 When you seek a law firm that understands the law, has broad experience and demonstrates commitment to clients every day, call Land, Carroll & Blair PC at 703-836-1000 or contact us online. We serve clients throughout Virginia, Maryland and the District of Columbia. Land, Carroll & Blair, P.C. is located in Alexandria, va and serves clients in and around Alexandria, Ft Myer, Arlington, Springfield, Falls Church, Annandale, Fort Belvoir, Alexandria City County, Arlington County and Falls Church City County.